The Provisional list of VII Convocation Gold Medals for the academic year 2016-17 is herewith enclosed. All the Principals / Graduates are requested to go through the provisional list of gold medals. 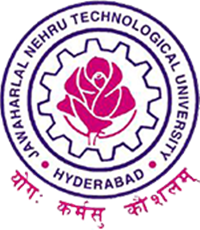 The queries related to the gold medals if any may be brought to the notice of THE DIRECTOR OF EVALUAITON / THE CONTROLLER OF EXAMINATIONS through email ids dejntuh@jntuh.ac.in and cejntuh@jntuh.ac.in respectively on or before 10th February 2018 by 5:00 PM. Please consider this matter as MOST URGENT and respond at the earliest. Sir is pharmd students will get goldmedal if so at which year of pharmd will get it?